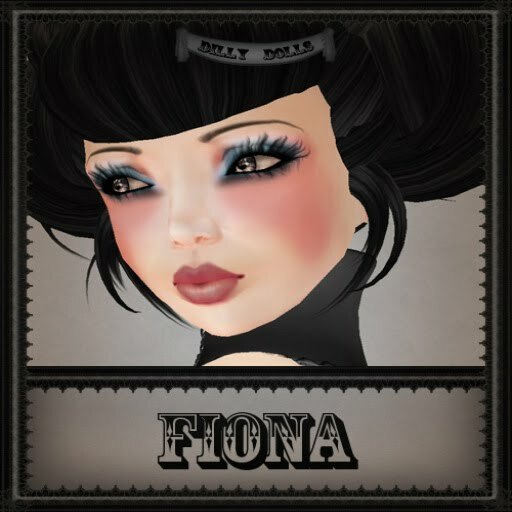 *Dilly Dolls*: Brand new blogger, brand new shinies! Brand new blogger, brand new shinies! Hello everyone! 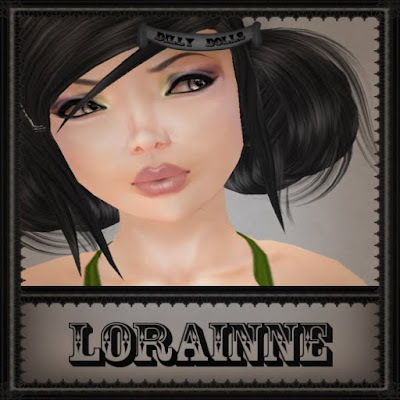 This is Dilly Dolls newest blogger, Starr, and I've got a bundle of gorgeous new things to post! 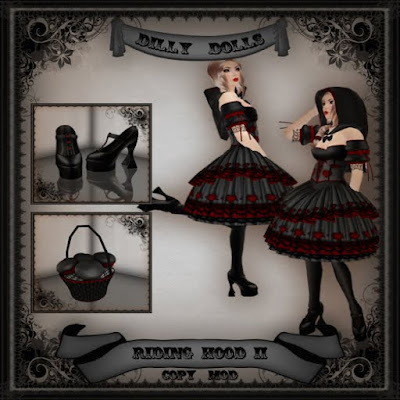 First up, one of my favorite dresses, Riding Hood II, which comes with a gorgeous, heart adorned dress, a pair of matching mary janes and a cute basket full of goodies. The shoes are also available separately. Oriana's also made some awesome matching hair! A pretty little side braid that works perfectly with the dress which is available in many colors. Also new this week, we have a couple new skins. and a remake of a previous favorite, Fiona. We also have some bold new lashes to compliment the skins. And last, but not least, two new sets of eyes to complete your look! So what are you waiting for?! Head over to Dilly Dolls and check it out! That's it for now but keep checking for more regular updates on new releases and events soon to come! Hair Sale and Fashion Fest! Black & Blue Fair goodness!